We love snacks. We’re always on the lookout for ones with the most bang for our buck (filling, tasty, and low WW points!). 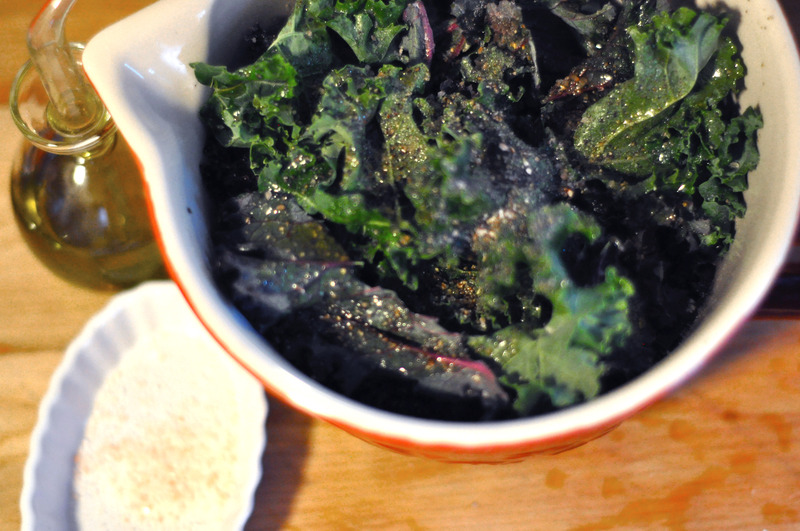 While these aren’t the most filling (they are just pieces of kale after all), they fulfill our salty-chip craving without all the points–or junk food. Read on to learn how to make your own. Set the oven to 350 degrees. 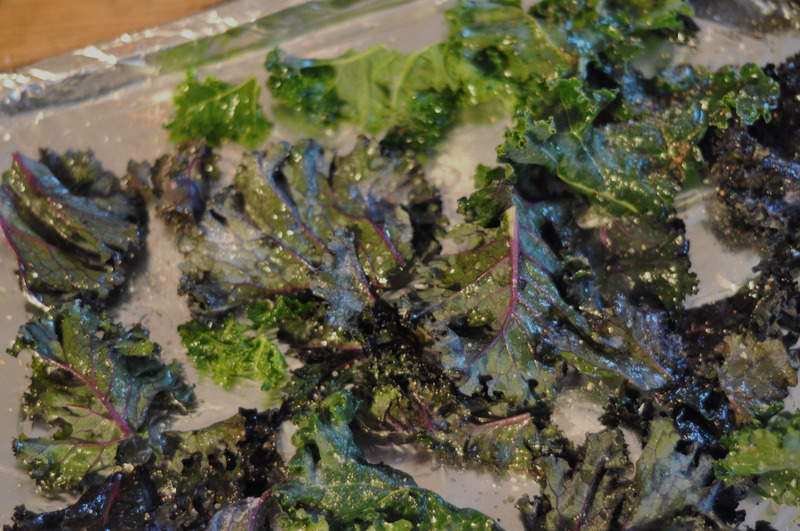 After washing the kale and patting it dry, rip into approximately 1-inch pieces. 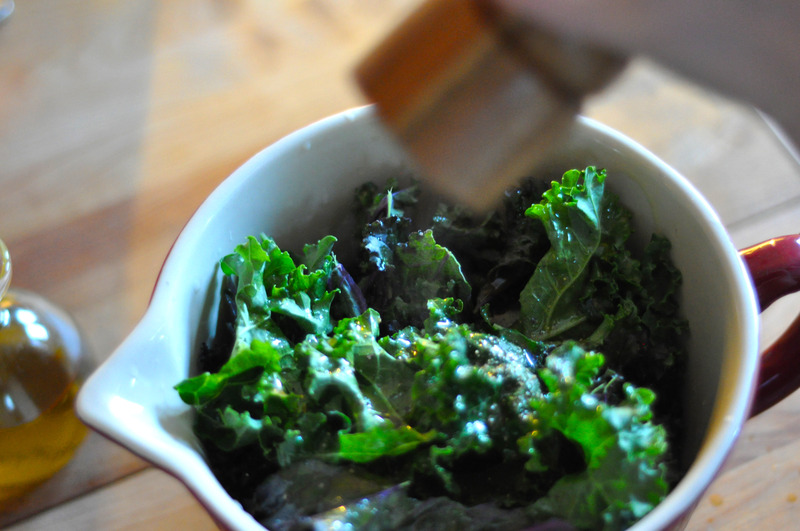 Toss 1/4 of the kale with 1/2 tablespoon of olive oil, salt, pepper and Spike. 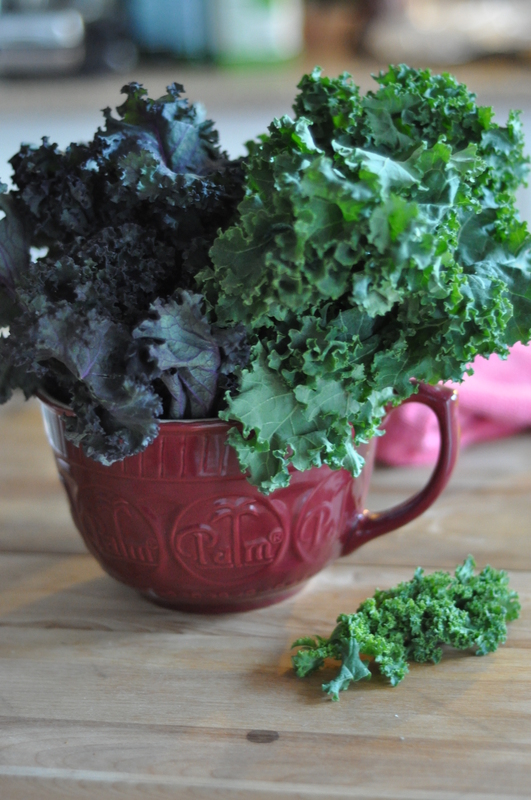 Spread out kale in a single layer on baking sheet, making sure the leaves don’t overlap. Bake for about 20 minutes or until crisp. 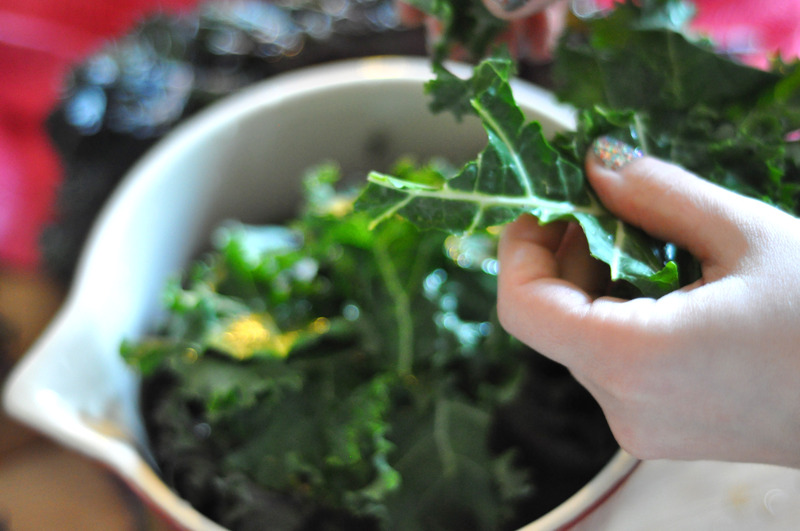 Continue tossing and baking the remaining kale, 1/4 at a time.